The pressures of modern life are increasingly squeezing the adventure, the wonder, the physicality-the juice -out of children's lives. Virtually every arena of kids' experience is now subject to some form of outside control, and this is a serious threat to the unique spark that animates every child. Lamenting risk-averse parents, overstructured school days, and a lack of playtime and solitude, this book is a clear and compelling plea to save childhood. "Mercogliano is, in effect, a cultural therapist. . . offering fresh new ideas and creative solutions. Ultimately, he is what all good therapists are: a purveyor of hope." 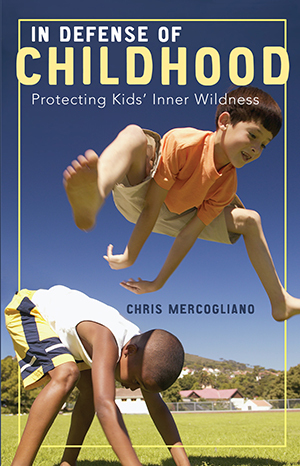 "With deep insight, Mercogliano shows how our society is suppressing children's creative energies. But he also brings a positive message, showing how we can help young people break through conventional restraints and pursue their passions. This is a beautiful, searching, and inspiring book." "A very strong and attractive book."